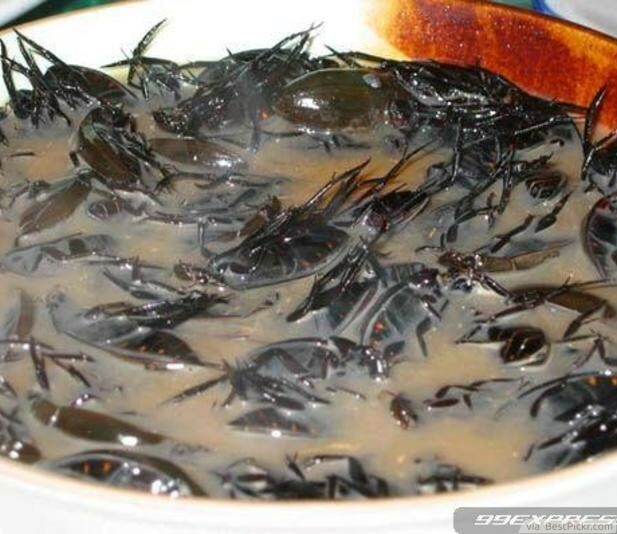 Cockroach soup is probably the most disgusting food in the world to eat. But it is indeed a sumptuous meal for some people. Whereas you will probably feel unlucky to get a dead cockroach in your soup, there are people who specifically order them in soup.